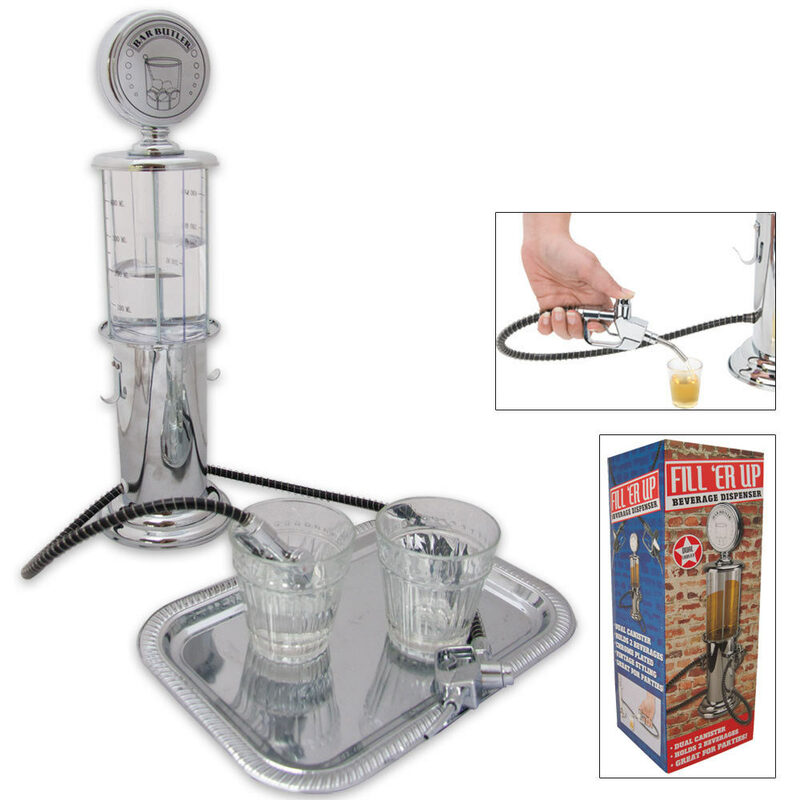 Fill Er Up Dual Bartender Beverage Dispenser Pump | BUDK.com - Knives & Swords At The Lowest Prices! Measures 5 1/2" x 19 3/4" x 5 1/2"
This antique gas pump replica 1-quart beverage dispenser can hold 2 different beverages at the same time. Saw this in the catalogue and thought it would be a neat novelty on my bar top. For the price I really didn't expect it to work well, but I was going to just use it as a decoration. 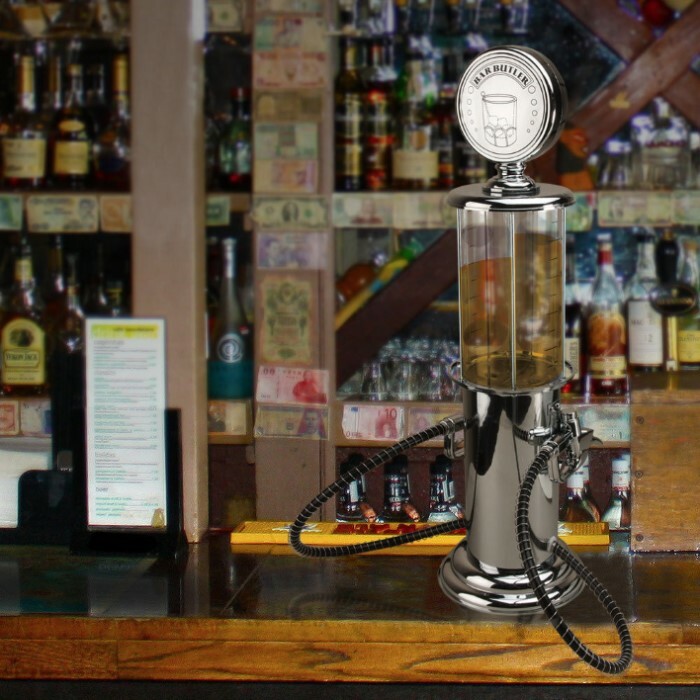 However, it really works, holds quite a bit of liquid in 2 chambers, and is the most interesting thing in my bar. Fully functional, well made, sturdy, despite being mostly plastic, and we really like it. It is larger than I expected and did I say it really works? There, I said it again...The whiskey flows out of the nozzles quickly and we are pleased with it. Recommend it to anyone who is interested. Plus, Bud K customer service is top notch. I made an error in the shipping address, contacted them immediately after I noticed and they fixed it in minutes. Item arrived exactly on time and in perfect condition. Thanks Bud K.
bought for my 24 year old son he and his friends love it thinks it works great and looks awesome. Great product !!! I bought this for my sister for a B-Day present, and she loves it. I gave it 4 stars only because, I personally have not used it to give a appopriate assesment. Everybody loves it. BUT they don't refill it,lol.